Now entering its 6th year, the Indie Memphis IndieGrants program continues to expand by creating more opportunities for Memphis-based filmmakers than ever before. We want more Memphis artists making films - and that’s why we are excited to see the return of the Documentary IndieGrant as well as the TWO Narrative IndieGrants. NEW THIS YEAR - All IndieGrant Finalists will be invited to attend the Industry Speed Meetings at the 2019 Indie Memphis Film Festival. These meetings are a great opportunity to meet industry professionals, including out of state producers and distributors, ready to offer advice or even connect you to new collaborators for your next project. Music+Arts Studio is donating $1,000 per grant in-kind for post-production sound mix to be used exclusively for the three winning short film productions. VIA Productions is providing a full coverage insurance package worth at least $2,500 to be used exclusively for the three winning short film productions. Up to $500 in film festival submission waivers and discounts. 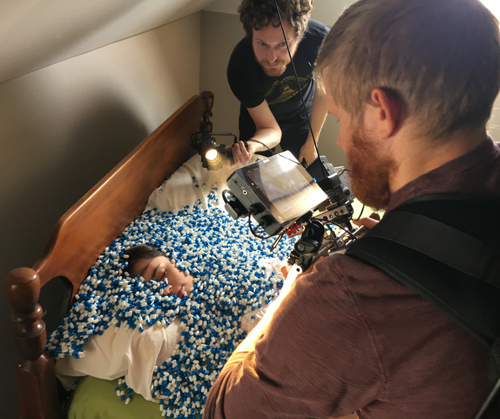 Firefly Grip & Electric is donating $2,500 per grant of cash-equivalent, no-strings-attached rentals of their lighting and grip equipment to be used exclusively for the three winning short film productions. Standard insurance and rental agreement required. LensRentals.com is donating $1,500 per grant of in-kind rentals for lens and camera gear to be used exclusively for the three winning short film productions. 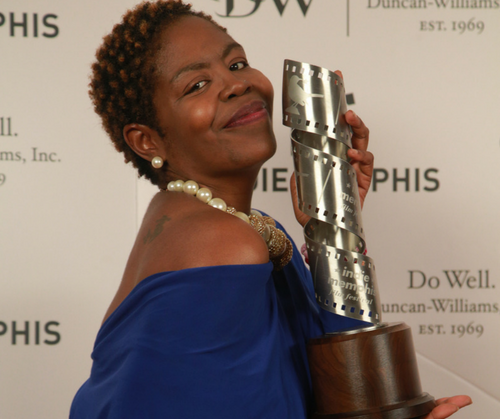 Filmmakers living in Shelby County (Tennessee), DeSoto County (Mississippi), Crittenden County (Arkansas), Tipton County (Tennessee), Fayette County (Tennessee), Marshall County (Mississippi), and Mississippi County (Arkansas) who did not win an IndieGrant in the previous year. Only narrative & documentary short film projects may apply for IndieGrant funds. Animation and experimental projects are not eligible. Scripts must be under 12 pages (or runtime of the film under 12 minutes). All production must take place in Shelby, DeSoto, Crittenden, Tipton, Fayette, Marshall, and/or Mississippi counties. Submissions that do not require additional fundraising beyond the amount given by the IndieGrant are strongly recommended. Principal photography must be completed by the end of December 2020. Filmmaker may premiere the film anywhere outside of Memphis, but the regional premiere within the seven counties must be coordinated with an Indie Memphis event (festival or otherwise) within 1-year of first public screening. Project must credit Indie Memphis and IndieGrants in the main credit sequence. One submission per filmmaker per grant (narrative and doc). If you are submitting as a team, there can only be one individual's name listed as primary applicant. The awarded films must have their Memphis-premiere screening at an Indie Memphis event. No exceptions to this rule. Tuesday, Sept. 24th, 2019 - Top finalists for both Narrative & Documentary grants will be notified. For the Documentary IndieGrant, fill out the submission form HERE. For the Narrative IndieGrant, fill out the submission form HERE. Before you begin, read through the form to see what information is required -- or view a sample Narrative IndieGrant submission form HERE / sample Documentary submission form HERE . Since there is no way to save your progress, we suggest that you write your answers in another document and cut-and-paste them into the form. Please note: filmmakers applying for a $13,000 grant can include a Vimeo link of past work up to 15 minutes in length, so have your link ready for your before you begin filling out the form. Make sure you've submitted both the online form and budget by 11:59pm on August 12th, 2019. Late entries will not be accepted. The finalists in both the Narrative & Documentary grants will be notified at the end of September. Narrative finalists will then be required to submit a script (12 pages or under) for their proposed film. Documentary finalists will be asked to provide additional materials to be determined by the jury. The three winners will be announced at the Festival Award Show on Saturday, Nov. 2nd. Are there any limitations on how grant funds can be spent? IndieGrant funds need to be spent on production expenses. The details are up to you. I’m a previous IndieGrant winner. Am I eligible to submit again? Yes, however you can not win the same IndieGrant in back to back years. For example, the 2018 IndieGrant winners can not re-apply again until 2020. Why does the production have to be completed by the end of December 2020? We're impatient and are only interested in IndieGrants going to films that can be produced in the coming year. If you have a complicated project that might take longer to produce, consider coming up with something else for your IndieGrant application. Can IndieGrant funds be used on projects with larger budgets than I'm able to apply for? Yes, but we're not going to want to fund a project that might not be able to raise the money it needs to be completed. It is probably best to keep things small, unless you already have additional money committed. Most of my film can be shot in and around Memphis, but a couple of scenes will need to be shot in Nashville. Is that cool? No, sorry. This grant is for shorts that can completely be shot in the Memphis area and its surrounding counties - specifically Shelby County, DeSoto County, Crittenden County, Tipton County, Fayette County, Marshall County, and Mississippi County. Can I use actors from outside of Memphis? Who will be determining the grant recipients? We are putting together a grants review committee of out-of-town industry professionals, to be announced soon.